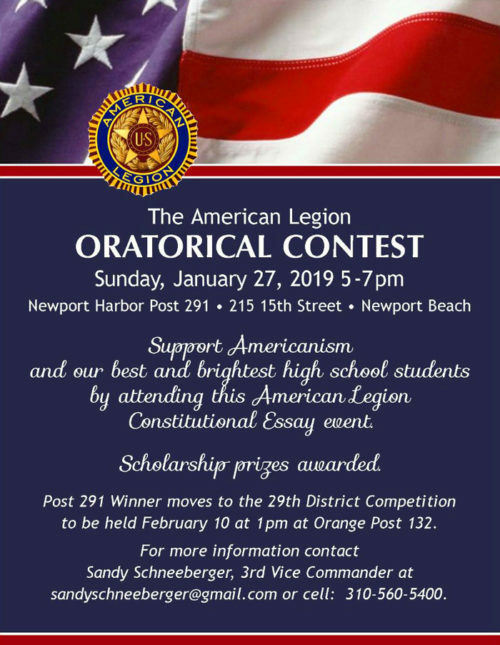 The purpose of the American Legion’s National High School Oratorical Contest is to develop a deeper knowledge and appreciation of the Constitution of the United States on the part of high school students. Other objectives of the contest include the development of leadership qualities, the ability to think and speak clearly and intelligently. 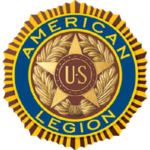 In addition to the National awards, as each contestant competes at lower levels, cash awards are give by each American Legion Post. Subject awards will increase the first through third place awards by substantial amounts. For example, the 1st place winner will receive over $20,000.00 when all cash awards are combined. Citizens of the United States, or lawful permanent residents of the United States. All contestants must be bona fide students under the age of twenty years old on the date of the National Contest, who is presently enrolled in a high school, or junior high school. All participants must be enrolled in grades 9 through 12. A prepared Oration (can be prepared at home) subject must be on some phase of the Constitution of the United States which will give emphasis to the attendant duties and obligations of a citizen to our government. Discourse must be a minimum of eight (8) minutes in length and a maximum of ten (10 minutes. An assigned topic discourse will be drawn by the contest officials in full view of the audience. The topic will be on some phase of the Constitution of the United States, selected from Articles and Sections as listed under the Assigned Topics in the current years contest brochure. Subject discourse must not consume less that three (3) minutes or more that five (5) minutes for delivery.